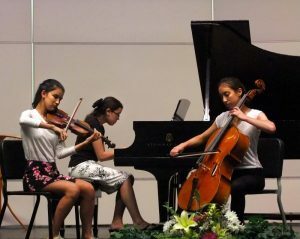 Historically, the Kingston Chamber Music Festival has served two distinct audiences: younger school children through its schools outreach program and middle age to older adults who have patronized the summer festival since its inception. This latter community is dwindling as age takes its toll. The KCMF Board recognizes an immediate need to safeguard the long-range stability of this celebrated organization by intentionally diversifying its audience base. 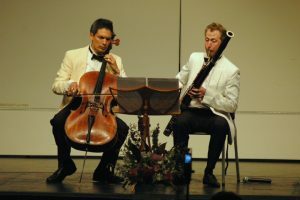 Thanks to generous support from the Launders Trust, the KCMF Board of Directors is able to address a key element of the current KCMF strategic plan: to attract and serve younger audience members in their thirties and forties who can help define, lead, and support the Kingston Chamber Music Festival over the coming decades. 5. Recruitment of talented younger individuals to the KCMF Board of Directors. The focus of this targeted Launders funding opportunity is welcome. For the long-term health of the organization, we need to diversify our audience base. A small KCMF sub-committee, including our President and our Managing Director, who is a member of the thirty-something community is presently engaging in deep conversations with contemporary peers to ascertain barriers they perceive in KCMF concert attendance and what would have to change to attract their attendance/participation in the future. Focus group sessions around this topic will be convened in late November, either at the Contemporary Theatre or the Pumphouse Music works. Director of the KCMF is in the process of confirming musicians for this performance, one who has an international reputation for his crossover endeavors. We anticipate that further programming for this audience will be in response to our findings from the focus groups and questionnaires. We thank the Launders Trust Board of Directors for its investment in the Kingston Chamber Music Festival, and we look forward to keeping you all updated on our progress. Contributed by Guest Author: Deborah Grossman-Garber. Deborah is an active member of the KCMF Board of Directors, a lifelong devotee of chamber music, and an amateur violist. She retired in 2015 from her post as the State of Rhode Island’s Associate Commissioner for Post-Secondary Education. 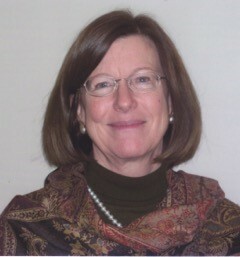 She formerly served as director of Student Learning Outcomes Assessment at the University of Rhode Island. She earned her graduate degree in Ancient History and Mediterranean Archaeology at the University of California – Berkeley.